What a year it’s been! As we’re closing in on the end of 2017, we’d like to thank everyone for all the hard work and support we’ve had. So – to show our appreciation – we’ve created a short series to help spread the festive cheer. Combining our powers of creativity along with our technical abilities (and just a small hint of wizardry), we hope you enjoy this insight into the REBORN holiday spirit. A festive office is a happy office. We all know that nothing makes for a happier office than the buzz of the holidays! 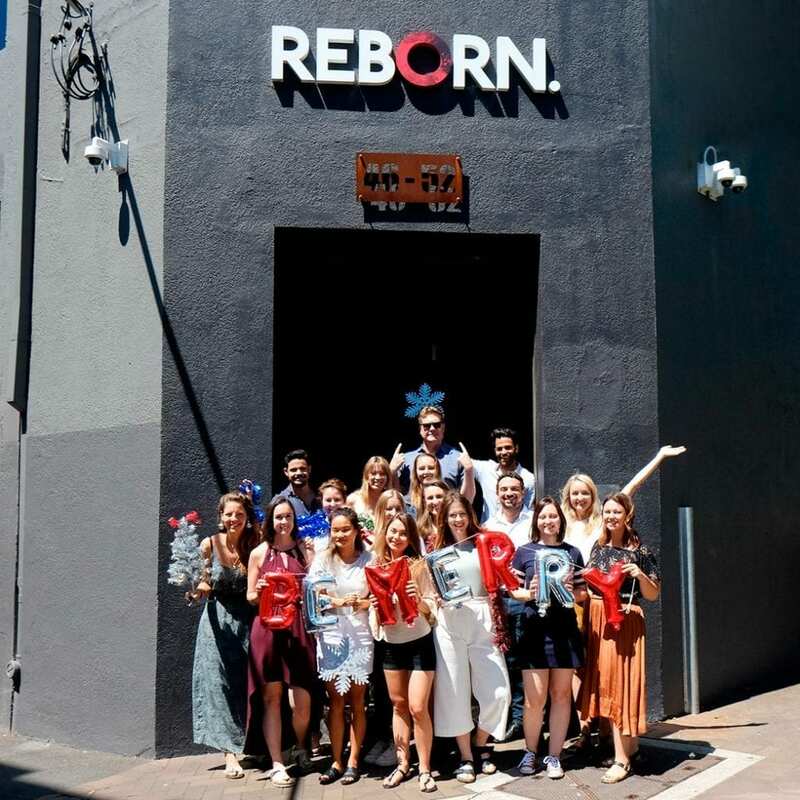 So we’d like to show you how we get into the festive spirit here at REBORN. Firstly, dust off last year’s Christmas decorations, put on a Santa hat and forget all about that ‘quitting sugar’ diet. It’s the holidays and we’ll allow you a cheat day…or five. The key to good wrapping is practice. Have yourself a merry little cocktail. What better way to start the holiday season (and dazzle your co-workers) than with this delicious, refreshing and #OnTrend Frosé cocktail! Enjoyed on a sunny and hot afternoon, it’s an Aussie summer staple. Tip: Store it in the office freezer ready to go when the clock hits 5! In a large jug, mix the rosé, sugar syrup and coconut water. Pour the mixture into ice cube trays and freeze overnight. Add the frozen rosé mix cubes along with the remaining ingredients to a blender, and blend until smooth. By now your office should be looking fabulous and your gift wrapping on point, it’s time to break out that Frosé and unwind. We hope you enjoyed this little glimpse into the way REBORN celebrates the holidays. To chat to us about other advertising wizardry, please contact us here.